Every year hundreds of thousands of travelers visit New Orleans for numerous reasons. Whether you are a connoisseur of jazz, lover of museums or a history buff, New Orleans has something for everyone. The Big Easy is a city that is absolutely exploding with culture. Yearly celebrations such as Mardi Gras and the New Orleans Jazz and Heritage Festival have put New Orleans on the map as one of the most festive cities in the United States. 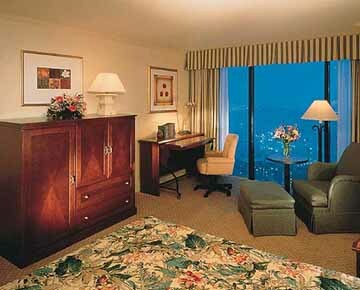 The Sheraton New Orleans Hotel offers ideal accommodations for both business and leisure travelers. From the first moment that guests step foot into the hotel�s lobby the burden of life�s daily stresses will literally slip away. The Sheraton hotel group has an impeccable reputation throughout the world for providing their guests with five-star services and amenities. The Sheraton New Orleans Hotel is no exception. Travelers will find themselves returning again and again to this Sheraton when their road leads them back to the Big Easy. The Sheraton New Orleans Hotel is conveniently located near many of the city�s most popular attractions including the infamous French Quarter, the New Orleans Museum of Art, the Louisiana Children�s Museum and the Aquarium of the America�s. The Sheraton New Orleans Hotel is a large, four-star hotel that is more than adequately outfitted to meet travelers� needs. The hotel boasts 1,100 accommodations, including standard guest rooms, suites and Corporate Clubrooms, that are spread out over 49 floors. All accommodations are elegantly appointed in a style that is reminiscent of the Old World charm that is commonly associated with New Orleans famed St. Charles Avenue. The 200 Corporate Clubrooms and suites are ideal for business travelers. Located on the top eight floors of the hotel, these rooms offer spectacular views of the Mississippi River, Canal Street and the French Quarter. 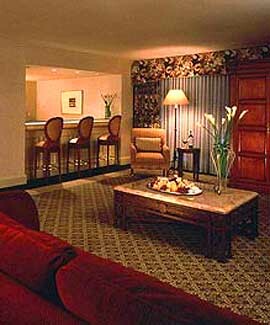 Guests who opt to stay in these accommodations have full access to the private Club Lounge. The Club Lounge serves complimentary continental breakfasts each morning and hors d� oeuvres every evening. The Corporate Clubroom accommodations offer a wide array of amenities that cater to business travelers� needs. The staff at the Sheraton New Orleans Hotel provides their guests with top-of-the-line amenities that world savvy travelers have come to expect when staying in high-end hotels. All accommodations are equipped with an entertainment center that includes a remote controlled color cable television with on-command movies and video games. To ensure maximum comfort each room is individually climate controlled. The spacious working desk, telephone with voice mail and modem/data port connection makes it convenient for guests to keep in touch with the outside world. Other in-room amenities include iron, ironing board, safe, hair dryer, coffee maker and radio alarm clock. Handicap accessible, connecting and non-smoking rooms are available as are rooms with a sofa bed and rooms with a separate sitting area. Baby cribs and roll-away beds are also available upon request. Children ages 17 years and younger stay at the Sheraton New Orleans Hotel free of charge. Check-in is at 3:00 pm and check-out is at noon. The in-hotel services, recreational and dining opportunities equal the luxuriousness of the Sheraton�s in-room amenities. A stay at the hotel will leave guests feeling relaxed and pampered. The hotel�s front desk is manned around the clock to ensure that guests need not go in search of someone if something is needed. The concierge will be happy to point visitors in the direction of New Orleans� hottest and most interesting spots. The concierge is definitely the person to see if help is needed in securing dinner or theater reservations. Other in-hotel services include valet, covered parking, wake-up calls, room service, housekeeping, bell stand/porters, doorman, safety deposit boxes and luggage storage. Medical services as well as business center services are also available. The Sheraton also offers their guests limited transportation to and from the airport. The Sheraton also has over 50 meeting rooms, the largest measuring 20,000 square feet and the smallest being 450 square feet. Exercise buffs will be pleased to discover that the Sheraton New Orleans houses its own fitness facility. Professional trainers are on hand to assist guests with their workouts. After pumping iron, guests can unwind in the Jacuzzi, sauna or steam bath. Professional massages are also available. The hotel�s outdoor heated pool can be enjoyed anytime throughout the year. 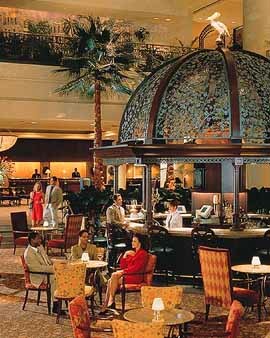 The Sheraton New Orleans Hotel is also the proud home of the Caf� Promenade restaurant. Locals and tourists alike flock here to enjoy the Big Easy�s signature Creole creations. The restaurant is open daily for breakfast, lunch and dinner. The hotel�s Pelican Bar serves up light snacks and refreshing cocktails in a laid back, tranquil environment. Guests can start their day off right by grabbing a cup of Joe from Starbucks which is located in the lobby. Starbucks also serves delicious treats such as croissants, pastries and salads. 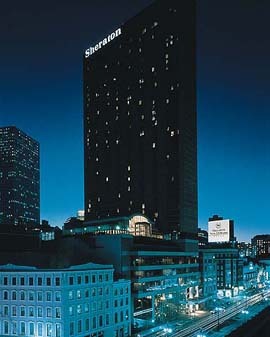 The Sheraton New Orleans Hotel is located at 500 Canal Street in the heart of New Orleans. The hotel is only minutes away from everything that makes the Big Easy one of the most exciting and unique cities in America. Area attractions include boat rides down the Ole Miss, Harrah�s Casino, the Audubon Zoo and Tulane University. Book a room at the Sheraton New Orleans Hotel today and get ready for one of the most memorable and exciting trips of a lifetime.